After completing his collegiate career, Jalen Penrose, will start his professional career in the Czech Republic with VK ČEZ Karlovarsko. The 6’8″ opposite from Cambridge, Massachusetts just finished graduated from Penn State University in May. Penrose helped Penn State win two EIVA titles and made appearances in two NCAA tournaments (2015 and 2017). He was on the team that reached the NCAA semifinals in 2015. His new team won the Czech Republic’s UNIQA Extraliga title for the first time in club history. They earned the right to compete in the CEV Champions League next year. 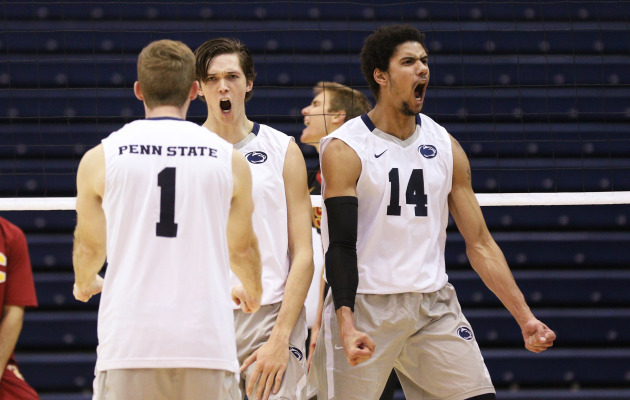 Penrose finished his career at Penn State with 543 kills. 152 of those kills came in his senior season in which he hit 0.187 (46.48% using the FIVB success percentage). Penrose also leaves Penn State having scored on 117 service aces. He came alive as a senior, notching 54 of them just this past year. That ace total was the most on his team. His 0.59 aces per set ratio was the best on his team, the most in his conference, the Eastern Intercollegiate Volleyball Association, and it was the 2nd-most in the NCAA. Penrose was named the Off the Block/Springbak National Server of the Year.